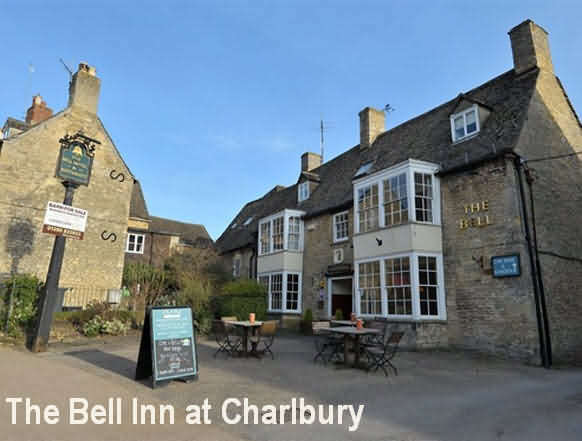 Charlbury is a small bustling Cotswold town overlooking the Evenlode valley towards Cornbury Park and Wychwood Forest. It is endowed with a good number of shops and places to eat and has its own mainlline railway station to London Paddington. The Bell Inn is a vibrant, stylish 18th century hotel in the heart of the Oxfordshire Cotswolds. Situated in the centre of Charlbury, an idyllic little town on the edge of the ancient Wychwood forest. The Hotel is full of charm and character with open fires, delicious food and comfortable bedrooms. Following our recent refurbishment, we offer eleven bedrooms, a function room which can cater up to around 50 seated or a party of up to a maximum of 100 and also a large garden, which can accommodate a small marquee. Our room refurbishment program was completed in early 2011 and all of our rooms are noted for their charming yet sophisticated feel. Every room has all the facilities you would expect from an AA rated hotel and oodles of individual charm and atmosphere. Our rooms are all non-smoking doubles with en-suite facilities and many of them can be booked as twins or family rooms.Some of our rooms are pet friendly and we are recommended in the AA pet friendly guide. All of our rooms are equipped to a high standard with television, hair-dryer, iron and boards are available, and room trays stocked with tea, coffee and hot chocolate, mineral water and biscuits. The beds are extremely comfortable with plenty of comfortable bedding, ensuring a good night's sleep. En-suite bathrooms contain complimentary toiletries and plenty of fluffy towels. 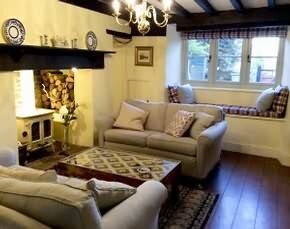 Witt's End Cottage is a quintessential 2-bedroomed English country cottage (sleeping 4) in the village of Finstock, nestled in the beautiful rolling countryside of the Oxfordshire Cotswolds. We are 8 miles from Woodstock and the World Heritage Site of Blenheim Palace & equidistant from both Oxford and bustling Cotswold Attractions such as Bourton-on-the-Water, each 30 minutes drive away in opposite directions (15 miles). We are also adjacent Cornbury Park. Small, but packed with character, the cottage is typically all things 'Cotswolds' with exposed stone walls, traditional Inglenook fireplace and extraordinary exposed beams throughout. Finstock village has its own shop, Post Office, and excellent pub called The Plough, situated on 'The Bottom'. 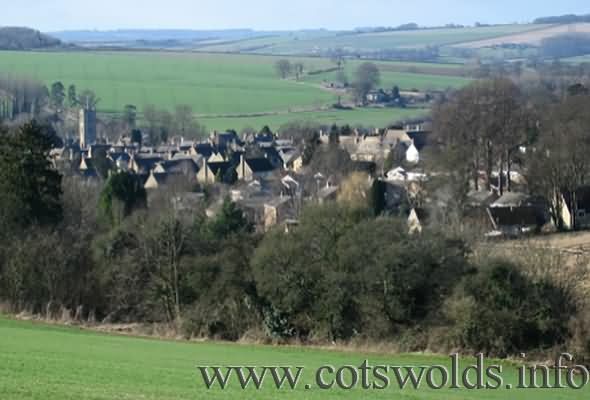 It is well connected with buses for visiting local towns and villages, but also has the advantage of being on the 'Cotswold Railway' line which runs between Oxford and Hereford. Main line trains also run into London Paddington from Charlbury, 2.6 miles away. 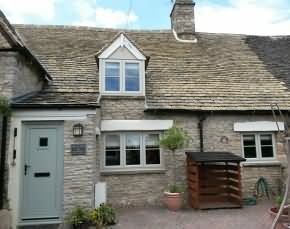 Very popular with walkers and cyclists alike, being adjacent tp Cornbury Park and on two main SUSTRANS cycle routes, the cottage is in a great location and makes an excellent base for exploring and touring Oxfordshire and the Cotswolds.